Estimates do not include materials except where noted. All estimates made in-house are FREE. Matt Wright has over 15 years of professional experience which began in New York City at Peekamoose Guitars. During his time there Matt had the opportunity to work for professional studio musicians, Broadway players, rock stars and hobbyists, all suiting to their specific needs. That eventually led to opening Brooklyn Guitar Repair out of his home workshop which broadened his clientele and job experience even more. Eventually his repair skills, quick turnaround, and attention to detail became sought after by other shops in the city, including The Music Zoo in Queens, which hired Matt on in 2008 as their head guitar tech. After 7 years in New York City, Matt relocated to Portland, OR and picked up right where he left off, repairing guitars for Trade Up Music, Pro Guitar Shop, and Old Town Music, steadily becoming an integral part of the music community. 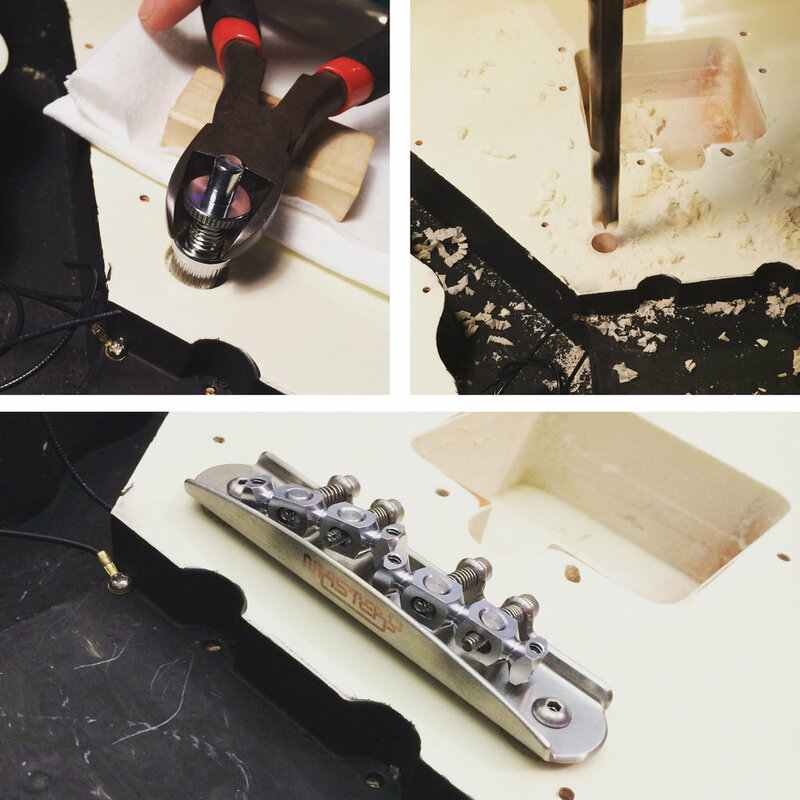 Between the half-dozen shops in NYC and Portland, having worked on literally thousands of guitars, Matt Wright has acquired an extensive knowledge and ability to diagnose the problem and solve it in the best way possible. And now, with a full-service workshop from his home in NE Portland, he’s ready to get your instrument in the best shape possible whether that’s for a punk show at The Know, a coffee shop Jazz-gig at the Bijou Cafe, or taking lessons in your living room. Call or email to set up an appointment today!